The flowers have bloomed, the grass is greener (not always on the other side) and spring has sprung. However, for allergy sufferers, such as myself, the thought of going outdoors can make your anxiety go through the roof. However, all hope isn't lost, not as long as you have your Claritin® for relief of your allergy symptoms. Today I want to share with you my top 5 favorite outdoor activities that can be enjoyed not just during spring, but with a few adjustments, you can enjoy them through summer and fall as well. Allergy season has been severe this year for me, but I'm not letting my allergies take control of my life. 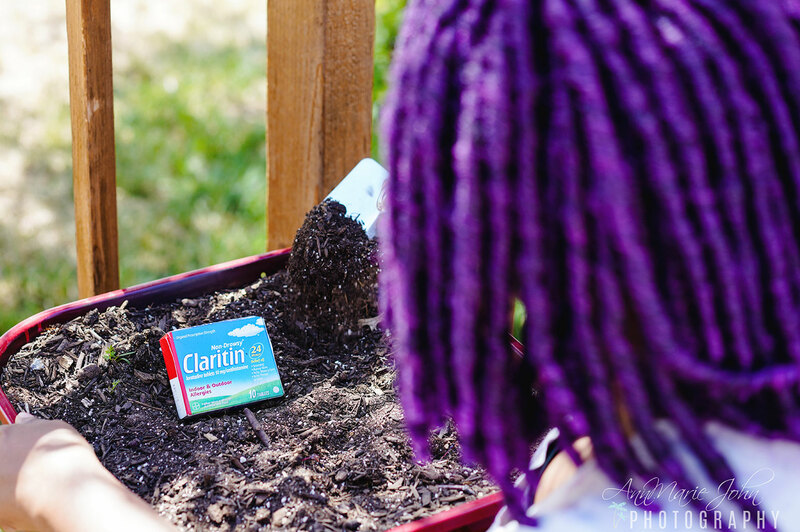 Getting outside for at least 20 minutes a day is something that I plan for daily, which is why Claritin is always on hand for relief of my allergy symptoms. During the winter, working out can be a chore. Not only do you have to bundle up if you're heading to the gym, or while going for a brisk walk, but the warmer weather of spring just seems to say, "Let’s get that summer body ready." I enjoy going for quick walks, whether it's around the neighborhood or just walking along the many trails that my city has to offer. Walking reduces my stress and simply makes me feel better about myself. In fact, a new survey commissioned by the makers of Claritin found that spending as little as 20 minutes outside in nature can help make you feel happy, and 97% of Americans surveyed find that spring is a great season to experience the simple joys that outdoor activities provide. Spring weather usually brings on the rain, but there are also some very gorgeous days. How about getting outside and savoring the sunshine and nature? While you can have an indoor picnic, having it outdoors is so much more fun. Spread the blanket on the ground and bring on the food. Finger foods and drinks are all you need, along with someone to share it with. Get the kids involved and have fun. I love hearing the birds chirping outside my window. Not only does the sound relax me, but seeing them means my flowers will start to blossom and bring a bit of color to my yard now that the dreariness of winter is over. Encouraging them to stop by refilling my birdfeed is something that brings joy not just to me, but to them as well. Spring is the perfect time to plant flowers. Nothing brings more cheer than flowers in bloom and really, all you need is some seeds and dirt. I enjoy planting my seeds during the spring, but I also plant during summer as well. If you prefer, you can purchase potted plants that you just need to replant in your garden. I recently got into photography and have signed up for my local community college for photography classes this fall. 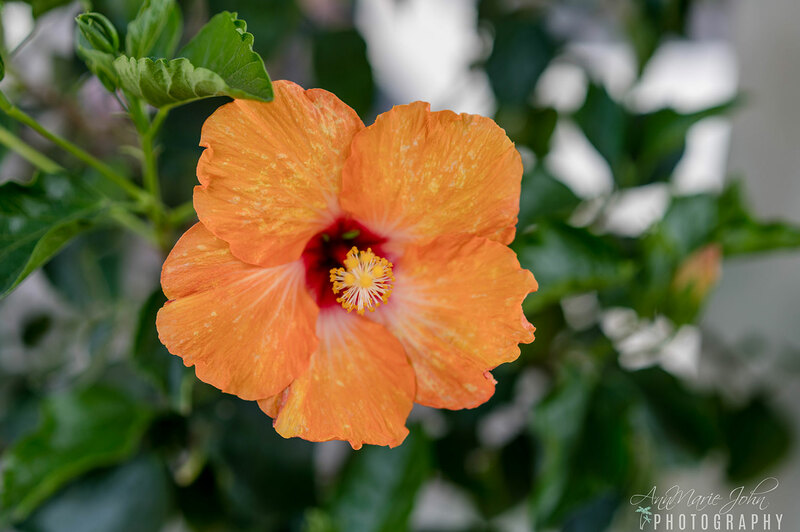 There's just something about taking photos of not just my children, but the flora that surrounds me that brings me joy. My mother once told me, "Live in the present and take joy in it because tomorrow isn't promised." It's a motto that I strongly live by. Take all the photos you can, because no two days are alike. What do all of these things have in common? They're all done outdoors and don't take a lot of time or energy. 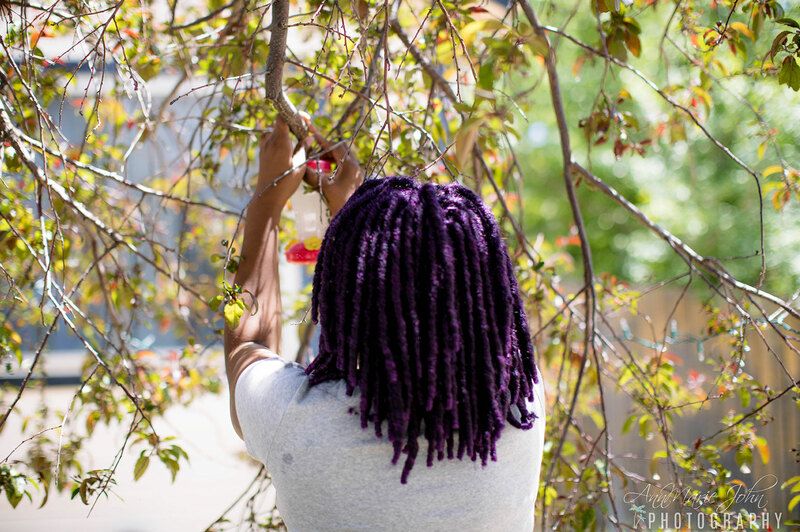 If done in the spring, they're done right around the time when allergies can occur. . Don't let allergies ruin your spring (or beyond) or keep you stuck indoors because you just "can't deal." 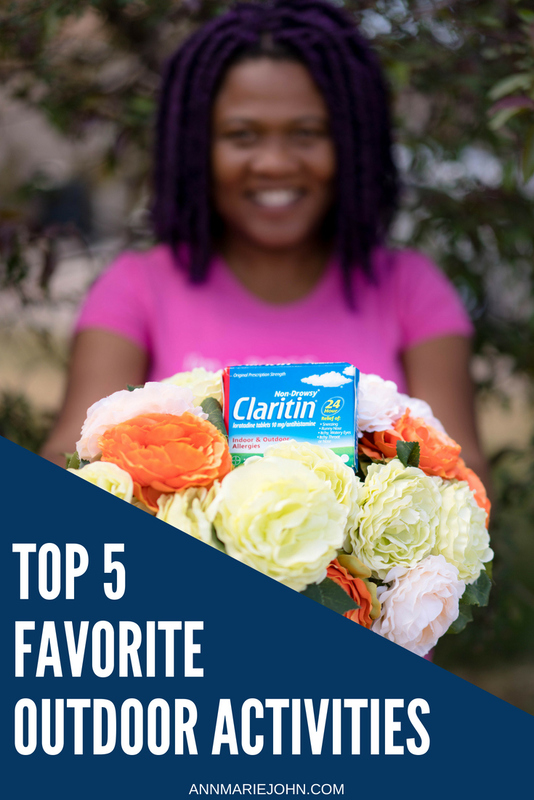 Get Claritin and find relief of your allergy symptoms. Personally, I keep it nearby, whether it's in my back pocket, backpack or handbag. The makers of Claritin wants you to enjoy the outdoors as much as I do, even if it’s just 20 minutes a day. 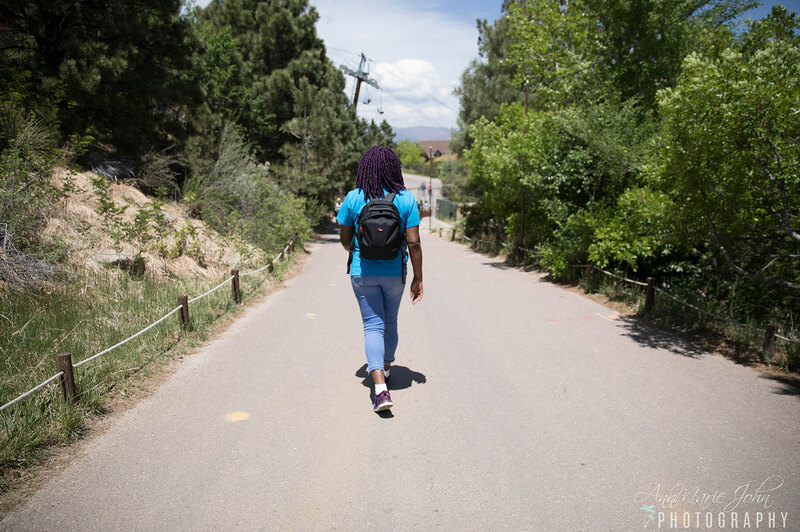 The 20 Minutes of Spring Project marks year two of a three-year partnership between Claritin and Boys & Girls Clubs of America, where Claritin has committed up to $500,000 to fund programming and create resources to help get kids outside. This year Claritin provided an Imagination Playground to Boys & Girls Clubs of America at PS 125 in Harlem, NYC to enable kids to get outside and enjoy nature. This playground equipment is particularly relevant, as 54 percent of those surveyed said their favorite childhood outdoor activities included playing at a playground or riding a bike. Get involved before June 21, 2018, and help the kids of Boys & Girls Clubs of America. 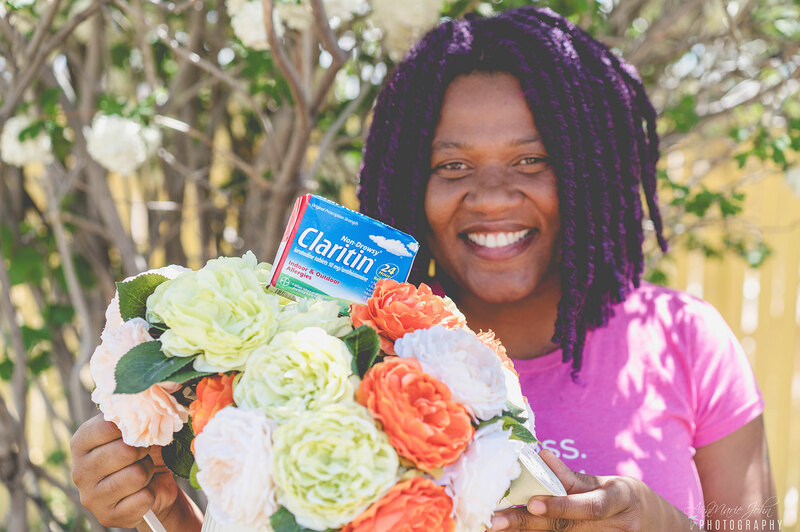 It’s simple - post a picture of your favorite family-friendly outdoor spring activity on Facebook or Instagram with both #Claritin and #20MinutesofSpring. Every post triggers a $5 donation to Boys and Girls Clubs of America (up to $50,000). To learn more go to Claritin.com/20MinutesofSpring.